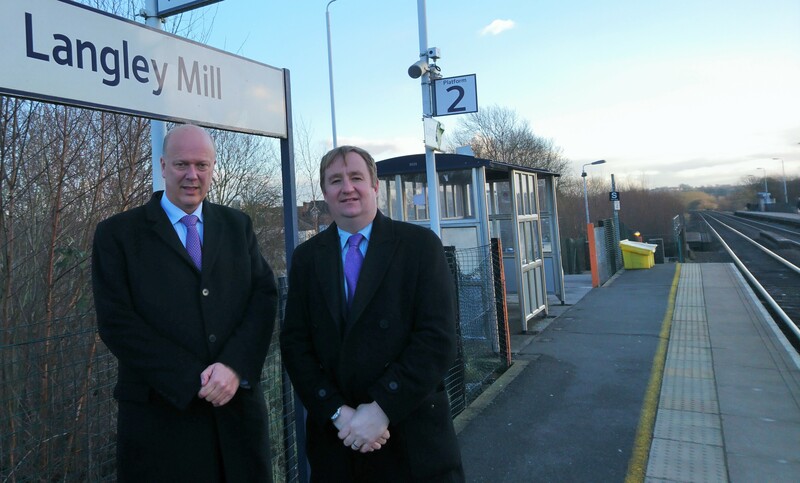 I was pleased to recently welcome the Secretary of State for Transport, Rt Hon Chris Grayling MP, to Amber Valley. 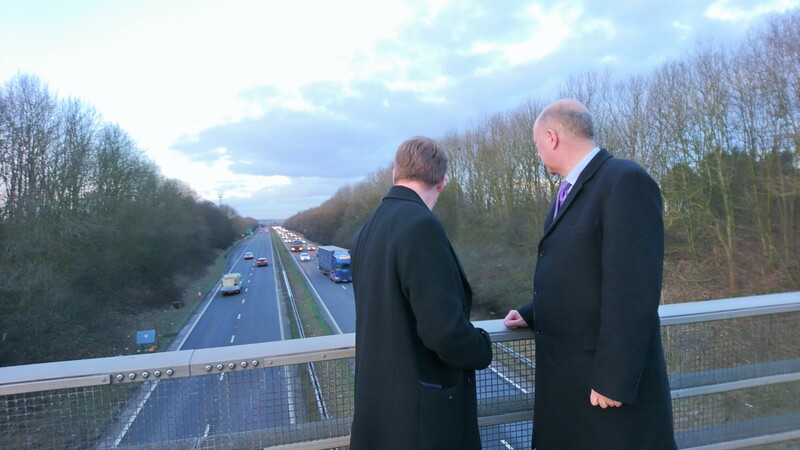 I took the Secretary of State on a ‘transport tour’ to look at some of the key issues and concerns in the constituency such as the need for a Codnor bypass (perfectly illustrated by a traffic jam in Codnor at the time! ), the ongoing problem of noise from the A38, and the urgent need for step-free access at Alfreton and Langley Mill Stations. You can read more about the visit and tour in my full blog post here. As the trees and hedges are bare over the winter months, the awful problem of the build-up of litter on the A38 is all the more striking. Several constituents have recently contacted me to highlight the appalling state of the verges as you drive through Amber Valley. So, I’ve contacted Amber Valley Borough Council to raise the current problem with them, and ask when the next clean-up will take place. I’m pleased to say that the clear up is scheduled soon, for March. Nevertheless, clean ups of the junctions near the A38 in Amber Valley are already underway. The scheduled date for the full clean-up is March as, hopefully, it will be late enough to avoid any periods of snowfall, but early enough so that the vegetation hasn’t grown back to ensure they can get as much litter as possible. As a result of the speed and the danger of the road, community teams can’t tackle the issue and the booking and road closure has to be made months in advance. I’m also pushing for longer term measures to tackle the litter and prevent it building up or being dropped in the first place. In this way, I welcome this Government’s new National Litter Strategy, which is focused on reducing litter through education, enforcement and infrastructure. From April, the maximum fixed penalty for dropping litter anywhere will be almost doubled from the current limit of £80 to £150, and councils will also be able to impose civil penalties on the keepers of vehicles from which litter is thrown, even if it was discarded by someone else – which should help discourage the problem on the A38 through Amber Valley. Locally, I’m also encouraging Highways England and the Council to work together and look into interim clean-ups whenever the roads are closed for roadworks. National Rail have announced works at Derby Station this summer as part of the upgrade of the Midland Main Line. The improvements will include a new platform and signalling upgrades. As a result, between 22 July 2018 and 7 October 2018, there will be major changes to timetables and services on many local services, including the London, Matlock, Crewe and Nottingham lines. You can find out more about the changes and keep up-to-date on how you might be affected on the dedicated website here. 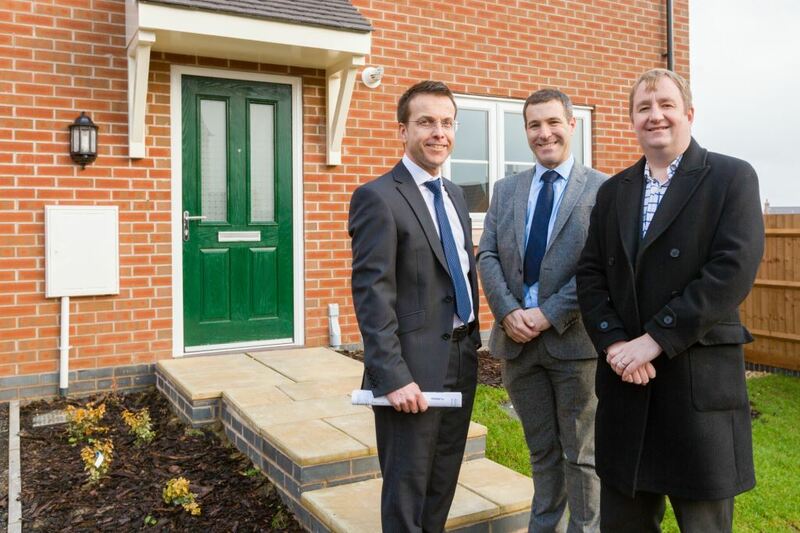 I recently toured a new local housing scheme designed to support first time buyers onto the housing ladder. Smalley Manor, off Heanor Road in Smalley, is a development offering newly-built homes under Limehouse Development’s Rent to Buy scheme. This offers renters the chance to move into a new-build property for a reduced rent while saving up for a deposit to buy the home after five years. I was pleased to tour the new site, meet several residents who have just moved in, and hear from them how the scheme is supporting first time buyers in Amber Valley. 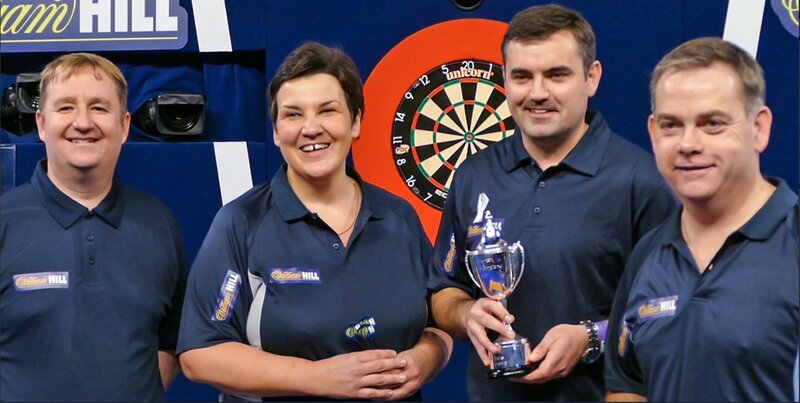 Over the Christmas recess, I enjoyed taking part in William Hill’s 9 Dart Charity Challenge Competition for MPs. I receive a runner-up prize of £500 to donate to a local charity. Please do get in touch with your suggestions for deserving Amber Valley charities I can donate the prize to. I am pleased that this Government’s ban on microbeads has recently come into force, which will stop billions of tiny beads washing down the drain every year and help to leave our planet in a better state than we found it. I also welcome the Prime Minister’s commitment, with the launch of the 25 Year Environment Plan, to tackling other forms of plastic pollution by encouraging recyclable materials and discouraging single-use plastics such as drinks bottles and straws. The Plan pledges to eliminate all avoidable plastic waste within a quarter of a century through measures such as encouraging supermarkets to introduce plastic-free aisles, extending the 5p plastic carrier bag charge to all retailers, funding innovation and research into new plastic products and looking into the viability of the re-introduction of a plastic bottle Deposit Return Scheme. As part of a recent Brexit negotiations update statement in the House, I asked the Prime Minister to confirm that an ongoing role for the European Court of Justice in the UK over the next 8 years would not mean EU nationals in the UK will have greater rights than UK nationals. You can find the full debate and update on the wider negotiations here. In Treasury questions in the Chamber, I asked the Minister about progress on reducing corporate tax evasion and re-iterated the need for international co-operation to tackle tax evasion by big multi-national companies. You can read the questions and answers in full here. During Cabinet Office questions, I emphasised the need to make sure small and medium-sized businesses can access opportunities to secure Government contracts, and ensure small businesses are not put off of bidding for contracts by the amount of bureaucracy involved. I’m pleased that the Minister agreed, confirmed this Government has already streamlined the bidding processes and now has a small business panel working to reduce burdens for businesses and make access to Government contracts as easy as possible. The Second Reading of the Taxation (Cross-Border Trade) Bill recently passed through the House, which looks at future customs arrangements as we leave the EU. I welcome this important Bill, and you read my full speech to the House on some of its specific clauses, and what they mean for Amber Valley businesses, here. In Public Accounts Committee meetings we’ve been looking into a issues such as defence project budgets, the effectiveness of Community Rehabilitation Companies, and the decline in National Lottery income. You can read more about these, and other, inquiries and evidence sessions here, or find out more about upcoming PAC business here. In the Northern Ireland Affairs Committee, we’ve been looking further into the impact of Brexit, and we’ve also continued our investigations into the impact of the Bombardier redundancies on the Northern Ireland economy. You can find details of the evidence sessions to date and the committee’s upcoming business here. You can find my latest Derby Telegraph column, looking at recent steps to tackle corruption, here. And, you can find my latest Ripley & Heanor column here, which looks at plastic pollution and the NHS.